For over seven decades, BOS has applied its experience and expertise to designing, furnishing, and installing great places to work. We’ve come to understand that our clients are looking for more than just desks and chairs, but rather solutions to conceptual needs that will ultimately drive productivity and success for their organization. 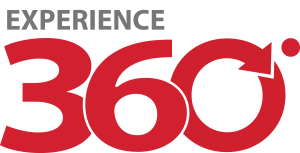 BOS promises to deliver 360-degree experience for clients, where every element of the move and procurement process is done in-house by a team of employee-owners. In order to more fully deliver on that promise, we launched Workspace Digital, a full-service technology integrator and digital marketing agency. BOS and Workspace Digital combine to take care of your entire space, both physical and digital, to ensure that you’ve maximized your total space investment. We work together to make sure your new space is aligned, connected, and optimized to meet your company’s needs. At Workspace Digital, our technology offering is comprehensive, with competitive, straight-forward pricing, and solutions that are fully vetted in our BOS facilities. And, as a furniture-savvy A/V company, we are best suited to ensure your technology investment seamlessly aligns with your workspace. Our agency solutions at Workspace Digital exist to help your recognize all the intangible opportunities in the digital space. Whether it’s through a fully-managed solution, or as a supplement to your own in-house teams, our Marketing and Digital Media Specialists are ready to go to work for you. Connect with us today to learn more about our 360° Experience!